i finished all of these YAY! i am so glad to have one more item done and i can stash away. 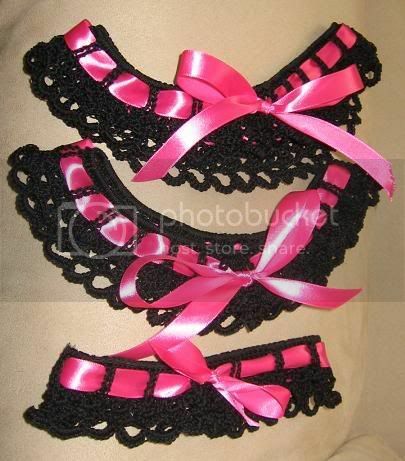 i previously posted the pictures of the bridal ones here are the ones i made for my bridesmaids, i think they look hot with the black and hot pinkfor my 2 bridesmaids and one junior bridesmaids.